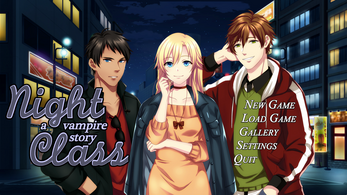 Night Class is a short, free game built using Visual Novel Maker. 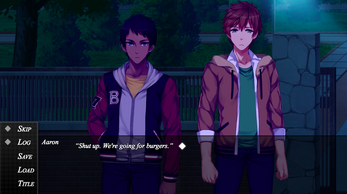 It has 6 unlockable CGs and three endings. Currently trying to get this game up and running but its just showing a black screen, running on MacOS. choosing the follow them option bugs it out. for me at least. My name just so happens to be Rowan, so reading the description definitely made me feel uncomfortable. I'm sure the game is good, though. I LOVE IT! I really love this game. It was unpredictable, great and the artwork (as well as the story line) was awesome. But I don't hear any of the characters voices. I made sure the volume of it was up really high but I can only hear the background music. And whenever I try to load a saved game, it would stay on a black screen and exit the game after awhile. But like I said, overall, pretty awesome game. Everytime I try to play my laptop says "This app can't run on your PC. " Wow so the dark turn of events are amazing. Thumbs up on this game well thought out I really enjoyed it. Aaron you feel soe what bad for his choices in life and why. And jake man you really just want to hug him. I wish the story was much longer and even had more choices. This would have been good as a demo. May I ask will there be another one? Or is this it?! I havent found many otome games like this and if there was one like this longer and more choices with more endings and maybe one more character for instance the vampire who bit her I would pay for pre-order. I write my own stories and this just surprised me I hate predictable endings and this was far from it. Bravo on such an amazing game!!! Holy sh*t. That was great. I was completely blindsided by the twists in this game, and I LOVE it. A+ writing, guys! Ooh, what a great little game. 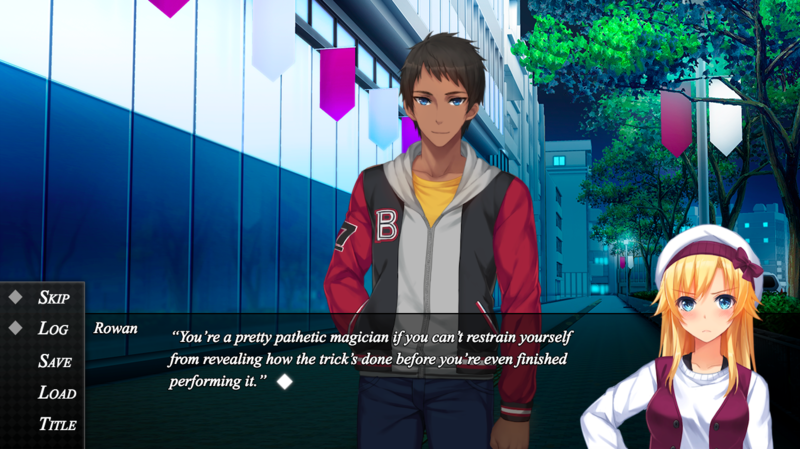 Your artwork is really beautiful (those CGs!) and I enjoyed that the tone was much darker than I could've anticipated. 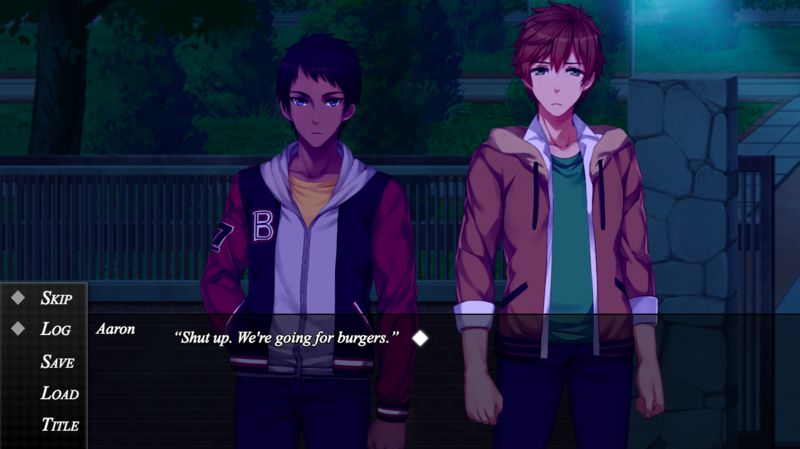 I also liked the twist endings, and that the choices I thought would lead me to the "bad ending" in traditional otome games actually led to the happiest conclusion. The characters and relationships had a surprising amount of depth, and I would've loved to see more of them! I will say that some of the tags are deceptive, but I didn't mind it and did really like the game for what it is. There does appear to be a somewhat annoying glitch where I can only load a saved game once-- if I try to go back to the main menu, or load a different save, the game gets stuck on a black screen. It would be great to see this fixed! Also, not sure if there's supposed to be voice acting included? I see a lot of options in settings for the characters' voices, but I only heard background music throughout. had some trouble getting the 'walk home alone' choice to work right, had to skip through it to waking up at home to see that ending... otherwise very smooth, and delightfully dark! Okay so everytime i click to play it it pops u at the bottom screen but wont open up or move so i can actually see it?? Help please. I'm interested in this game, but from the previous comment I see it has some glitches. Just wanted to ask if they had been fixed, since I'd rather wait before downloading! I'm really sorry to hear that -- which system are you using? After the first decision, I chose to walk home alone, and everything after that quit working. I can't progress the story without skipping everything and going back and reading the log to see what I missed. It may just be me, but when I open up the game on my Mac it's just a black screen even after several attempts. Ack, I'm sorry to hear that! I'll see what I can do. Finally got it to work. I had to right click "Show package contents" and open it up that way for the screen to load.